As 2011 comes to a close, the fortunes of Research In Motion’s rapidly dissolving future hangs precariously in the balance. The company is currently enduring one of its most turbulent spells and, in what is most certainly a make-or-break shift for the company, questions surrounding its upcoming QNX operating system – which was first changed to BBX, and is now known as BlackBerry 10 – remain unanswered. In a new Reuters report, investors are said to be worried the Waterloo-based company will miss its early 2012 target to transition its BlackBerry devices to BlackBerry 10, the OS that currently runs on its PlayBook. 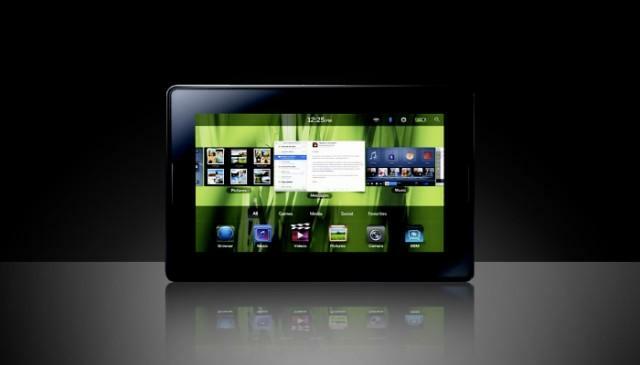 The tablets, quite frankly, have been a tremendous flop for RIM, with the company acknowledging two weeks ago it would take a hit on unsold PlayBooks, Reuters said. As a result, expectations have been lowered considerably – in conjunction, stocks have hit a low not seen since 2004. Commenting on RIM’s dismal share prices, analyst Colin Gillis of BGC Partners said, “Most of the news is on the tape. The worry with this company is there’s more bad news.” In the past year alone, shares have fallen more than 75 percent. On top of outages, failed product launches and plummeting market share, Gillis believes Research In Motion may not even have the resources to survive the looming transition to BlackBerry 10. With iPhone and Android devices gaining in popularity everyday, the once favorite BlackBerry brand is quickly going under. Despite less than stellar sales, RIM remains optimistic that BlackBerry 10 could alter the company’s current course, though it’s unclear when this will happen. Earlier this year, RIM promised BlackBerry 10 would hit sometime in early 2012, but no updates have been given for months. Because of this, investors are staying cautious heading into the new year. We may officially be witnessing the demise of one of the most popular handset makers. What’s worse, its BlackBerry 10 OS may be a failure even before it has a change to reach a wider audience. Late last week a report hit revealing ten ways it can get worse for RIM. It already may be a lot worse than everyone thought.